The following MP3 clips are taken from the BBC Radio Surrey and Sussex '100 Lives' feature where you can follow the Refuse to Lose story as it unfolds. 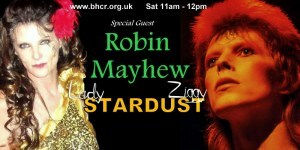 Robin talking about the conception of the Refuse to Lose song on Brighton and Hove Community Radio with Lady Starduzt. The MP3's for the Refuse To Lose final master and the Refuse To Lose backing track and vocal guidance are available to download from the Event page. 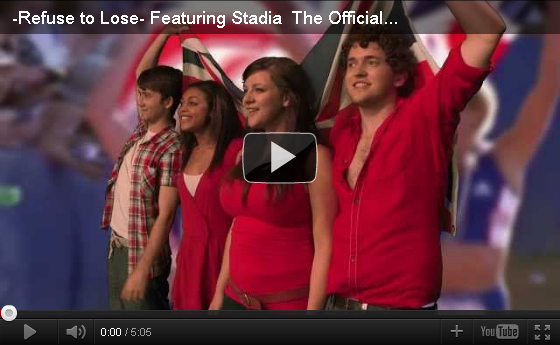 This is the official video for the Refuse to Lose project inspired by the Olympic Games in London in July this year . Stadia are Adelle Tracey, Kit Bradshaw, Gabbie Bird and Sam O'Hanlon. Wrtten and Produced by Robin Mayhew and the song was recorded at Ford Lane Studios, Ford, West Sussex. The engineer was Rob Quickenden. The lyric is to inspire all people, young and older, to reach and achieve their goals in life with the ethos of the song sparking something positive for our athletes this summer. If you are unable to view the video on YouTube due to security blocking of the website then follow the links below to download a copy of the official video to your local computer where you will be able to view the video using Windows Media Player or any other media player software. Simply click on the link or video icon and select to save to your local computer or open to view. If you would like to leave any comments on the video and song then please email to info@refuse-to-lose.co.uk we would love to hear from you. Check back for regular updates and more soundbites.